Free soccer drills and the basic soccer rules by a professional development soccer coach. A developmental coach is a coach that focuses on the technical development of youth players. Before you go straight to soccer drills you must understand that the drills you use must be first developmental in nature and age appropriate. Soccer Drills for kids needs to have three important things. The drill needs to focus clearly on a developmental technical skill. The drill need not waste precious training time. No standing in line business. Soccer is a player driven sport. As much as you would like, you cannot call a time out during a soccer game. Therefore, drills spent on runs and plays are a truly wasting great touch training time. Soccer is not based on plays or heavy in tactics (especially at the 4-12 age). I have had coaches that spent 30 minutes on runs down flanks and center drills when few kids new how to shoot and/or control ball. Soccer is all about exposure because there is no bat or apparatus to maneuver the ball. Your body does 100% of the work. Touching the ball over and over as much as possible and appropriate will get repetitious improvement to be better players and will ream more befits than just any free soccer drill. If your not sure what your kids should be accomplishing for their soccer technical milestones by age go to my how to play soccer page. For the basics go to my basic soccer skills page. if your not sure of the rules of soccer go to basic soccer rules page for the rules and ways to modify soccer rules to achieve success in practice play. fan. 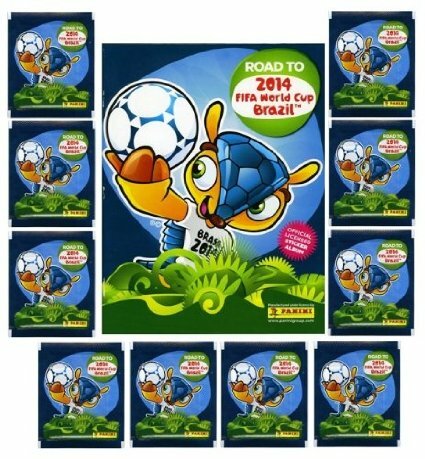 This is a must have sticker collectible activity Imported from Europe.